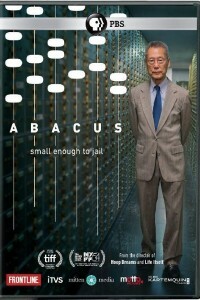 Only one bank was ever prosecuted for mortgage fraud: Abacus Federal Savings Bank. With remarkable access to all the players in this complex story, the program creates an intimate portrait of the Sungs’ private and public struggles as they make their way through a difficult trial and its aftermath. The film offers insights from Cyrus Vance Jr. and his team, including Polly Greenberg, Director of the Economic Crimes Unit; Jiayang Fan, a reporter for The New Yorker magazine who covered the entire trial; Matt Taibbi, Rolling Stone reporter and author of “The Divide”, who speaks authoritatively about what he sees is the unequal application of justice in America; and from two jurors on the case who explain the fascinating inner workings that led the jury to their verdict. Throughout, the program keeps the Chinese community at the center of the story with community leaders, reporters, and people who live and work in New York’s Chinatown elaborating on the nature of this insular, remarkably unique world.